The day will forever be etched in my mind. We were all sitting around the large conference table. Dinomite's occupational therapist was there. My parent advocate/Dinomite's OPWDD worker was sitting across from me. The head of the CSE (Committee on Special Education) was facilitating the meeting. Dinomite's new "friend" the school psychologist was to my right. All were there to discuss Dinomite, and plans for the next school year. Everyone was supposed to be on Dinomite's side. It's because of his autism that we met in the first place. But that's not how it went. It was determined that because Dinomite was well behaved, had beautiful handwriting, and could stay regulated in a one-to-one scenario for 30 minutes once a week, he no longer needed special education services. My input as his homeschool instructor meant nothing. "That does not interfere with his academic performance." If a child can't go to the bathroom on his own and has no aid to assist him, how does that NOT affect his academic performance and his health in general for that matter? This meeting was when I first realized how important it was for me to homeschool my autistic children. It wasn't so I could wipe Dinomite's bottom and help him dress everyday. The opposite is actually true. 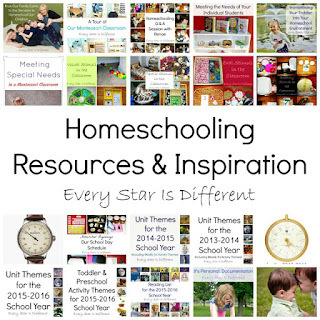 I homeschool so my special needs children will not only learn reading, writing and arithmetic, but life skills as well, in a setting that is safe for them to go at their own pace, without the judgment and bullying from others. Because let's face it, a child with autism is always going to have delays. It's the nature of the disorder. A child with autism also lacks the ability to advocate and stand up for themselves in an appropriate way due to a lack of social and emotional skills. Throwing them in with the crowd, expecting them to do what others are doing, just doesn't work. And so day after day, we work at home. So much of what we do to teach doesn't take place in our homeschool classroom. Our morning routine may take hours, but I don't have to rush around and do things for Dinomite. We are in no hurry. He has the time to complete the routine by himself. Developmentally, Dinomite is between two and three years behind. He struggles with gross motor skills and lacks coordination. Dinomite is more sensitive to vestibular input than any child I know. He has not yet learned how to ride his Diamondback Cobra Junior Boy's Mountain Bike. Options with training wheels are no longer available in his size. When he does attempt to ride, he becomes scared as the bike picks up speed, slamming on the breaks and stopping abruptly. So we practice, and practice, and practice. Those with special needs work so much harder to learn a new skill than others. Dinomite is currently petrified to buy a new pair of sneakers because he's worried he won't be able to find his size with velcro straps instead of laces. He does not know how to tie his shoes, nor has any desire to do so. His fine motor skills are delayed and once again a lack of coordination makes matters more difficult. I wait for his fingers to be ready and up for the task, trying to incorporate as many similar experiences as possible. He will eventually learn, but it won't be at the same age his peers do. The last time we went shopping and were able to find his Stride Rite Star Wars Balance Of The Force Light-Up Sneakers on clearance for $10, he literally cried tears of joy, because it meant one more year of velcro. 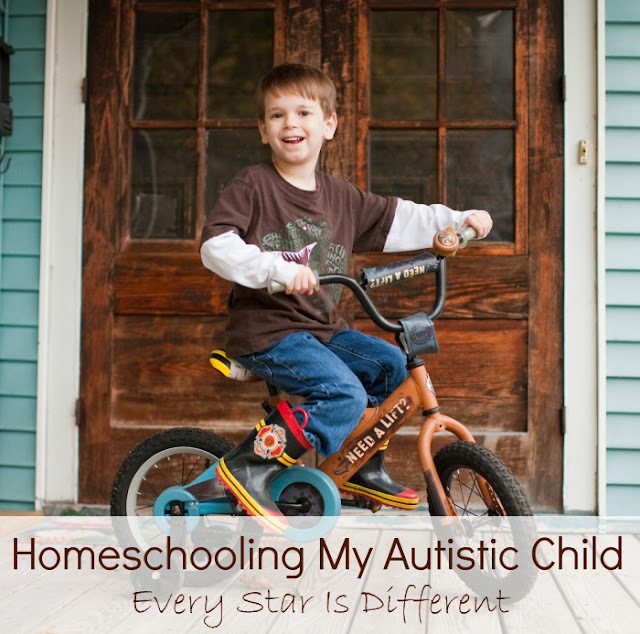 Homeschooling children with autism is challenging. There's no checking in and checking out. Every experience is a learning experience and part of their education. The goal is to raise a child who can be self reliant and independent when everything comes slowly and is more difficult. In my experience this is something public schools will not and can not do. Homeschooling provides the perfect solution when a parent is home full time and willing to do the work. Success is possible in the right environment and in an appropriate time frame. When all is said and done, it doesn't matter how long it took to learn the skill, it just matters that they learn it. We've been homeschooling for four years. (I seriously can't believe it.) In that time I've written many posts about our journey, our decisions, how we do things, etc. 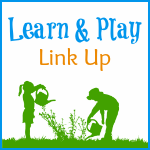 You can find all of those resources in one place, by clicking on the link to the post below. For more inspiration and motivation, and an explanation of why we chose Montessori, please enjoy this very personal post. For those interested in learning more about Dinomite's personal journey with autism, enjoy this post! 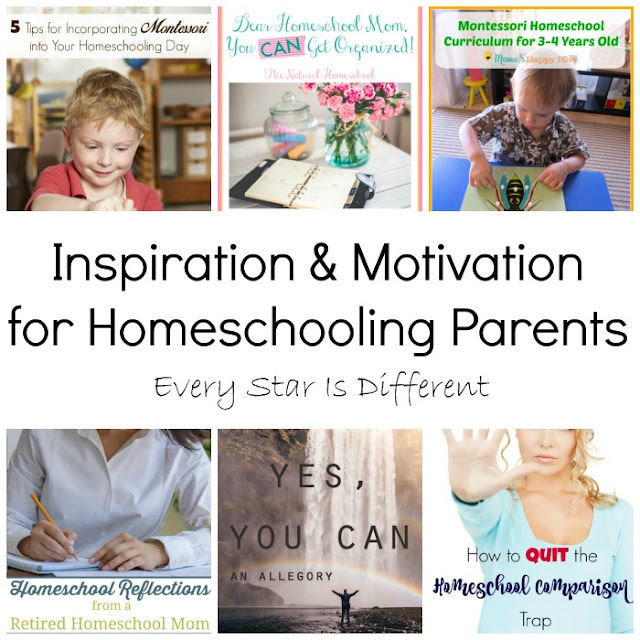 All of us who choose to homeschool have moments of doubt, struggles, and insecurities. We sometimes feel defeated and are often exhausted and completely overwhelmed. It's times like these that I try to remember why I homeschool. I remember the moments where it all made perfect sense, like the experiences I've shared above. 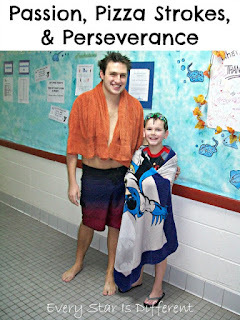 If you're looking for inspiration and motivation to keep moving forward with your homeschool journey, this week's featured posts are fabulous! Enjoy. I'm so glad you choose to homeschool! That is crazy that they wouldn't acknowledge that his basic needs were just as important as his scholastic needs. You are an amazing mother who does an outstanding job with your children. Looks good. 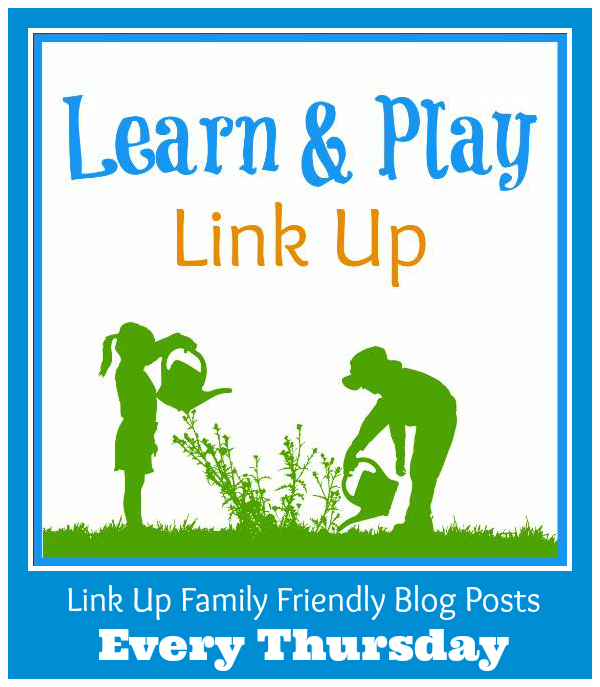 Really helpful post for all autistic child. I think they will be benefited by reading your post. cycles are helpful for autistic patients. Thanks for sharing your post with us. Hi, just came across this article. 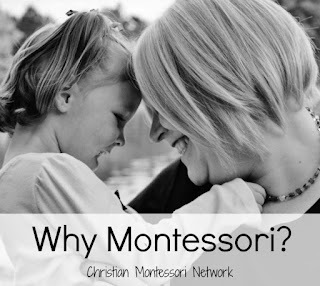 Very interested to know how did you start with homeschooling, is it necessary to get all the Montessori materials, what is the routine like, what to do when child seems forever stuck in a certain skill, or when child seems to forget a skill mastered a while ago but forget as child progress to other skills? My child is 10. is still non verbal, not reading, not writing, heck- nt even wiping own bottoms yet. 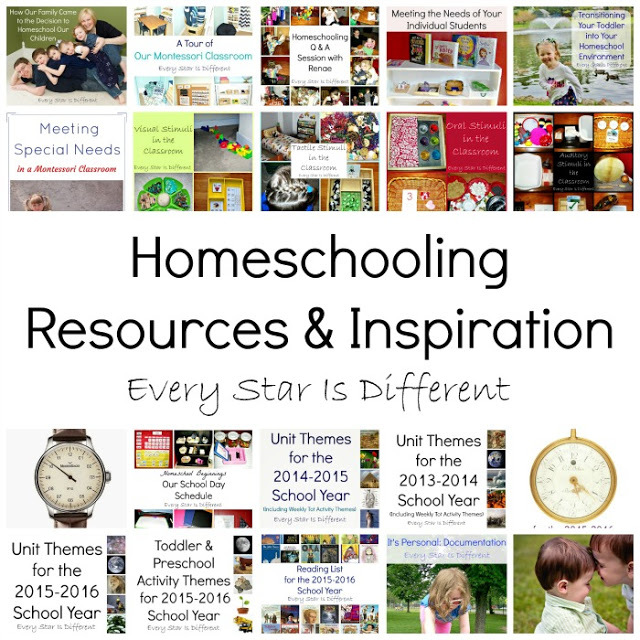 I can't homeschool full time but I am around most of the time. Just needed some pointers on how to start and what to prepare.